One Direction, and that’s UP! One Direction is a boy band. It’s true. But you know what? IT DOESN’T MATTER. The album is now available on iTunes and is having a nice group hug with Taylor Swift’s songs in the top ten. The sappy “Night Changes,” the beautiful easy-going “Fool’s Gold,” and the drum heavy “Girl Almighty,” are all littered in the top ten currently at 11:58 pm, Sunday night. Songs like “Where Do Broken Hearts Go,” have that top secret pop potion in them that make them stink up your brain for days. You’ll find yourself scrolling the internet as you start yelling “WHERE DO BROKEN HEARTS GO?!? !” Then you’re like damn you, One Direction. Yeah, this one is doing that to me. Zayn blowing the love potion all over you. “Stockholm Syndrome” seems to be cut from a different cloth than the rest. One Direction ventures into some pop-electronica that works extremely well with their falsetto and effortless harmonies, of course. “Clouds” is another track that has a very unique sound that stuck with me. The chorus almost sounds like something you would hear from an alternative band–very powerful. The pre-chorus moves up an octave every couple words and it’s really cool to listen to. These boys did a great job at expanding their expertise in the studio to create some songs that were different for them. 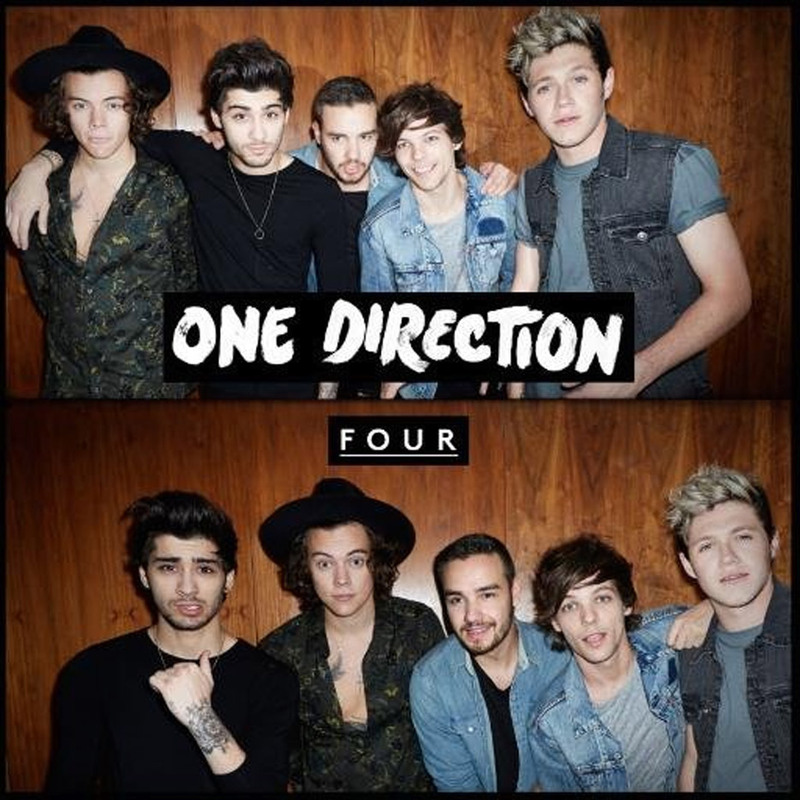 When I first heard the album would be named “FOUR” I was like that’s a weird title, then I remembered that this is their fourth album and I couldn’t believe it. I had completely forgotten about most of their other albums. But I think that’s kind of what is expected from a pop band. You grow after every album, and “FOUR” is relevant to right now, so for the moment this is going to be extremely successful and then when the next album comes out, the cycle will begin again.